One Size Solutions Don’t Fit All. You can help Working Families’ Friend support those who support and contribute to our community. 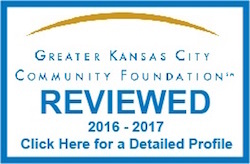 Looking for a way to get involved in Kansas City? Working Families’ Friend has three annual charity events to bring the community together for our cause. Not everyone qualifies for traditional financial assistance. Working Families’ Friend provides emergency assistance to those in the gap before a family is forced into economic hardship. To gather community resources in order to enable employed and recently unemployed individuals to sustain and maintain quality of life through assistance, training, advocacy and financial support. Need Assistance for an Employee or One of Your Members? Working Families’ Friend works with pre-approved community counselors and United Way to provide requested assistance. Prizes awarded to the top winners. Raffle tickets sold for a chance at the final table. This event sells out. Please register early to secure a spot for your team. Please join us with your family and friends for food, fun and fellowship. After the death of my spouse there were lots of unknowns. The assistance from you helped take some of the stress off my heavy load. Thank you very much. Your help is greatly appreciated. Your agency helps so many people that wouldn’t be helped otherwise. My boss and I will continue sending our donations to Working Families’ Friend. My living situation was not good for my daughter and I thought I didn’t have any option to make it safe for her. With your help, I was able to move us to an apartment. I thank you for the assistance to help me stabilize a home for her. I feel compelled to pay back, as I can, to help assist others at their time in need. I want to personally thank you and the supporters of your agency for the assistance you provided to my husband and me. After my husband had a stroke and heart attack he was unable to work. Short-term disability didn’t start for a month and provided minimal help with our bills. Without your assistance, we would not have been able to pay our bills and keep up with our mortgage payment. I am hoping and praying my husband can return to work soon. Once we are back on our feet we will be happy to donate back to help another when they are in need. I am the sole supporter of a family of six. I have been on short-term disability since my recent diagnosis with cancer. The disability check doesn’t stretch very far. Your assistance helped us keep up with the utility bills and get some food in the house. Thank you so much. When I am back on my feet again, and I know I will be, I will be happy to make a donation to Working Families’ Friend to pay it forward to the next family in need. Thank you. I greatly appreciate your organization’s assistance during my painful journey of the loss of my husband. You were here to assist me when I couldn’t have imagined the thoughtfulness of strangers. I also thank your supporters for donating and for allowing you to help me. Working Families’ Friend is a great organization.